Eating breakfast is one habit that sure has long-term health benefits. 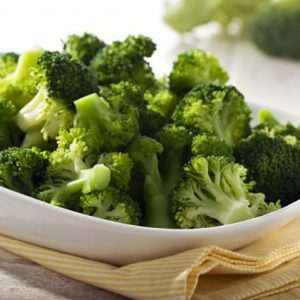 It can reduce high blood pressure, obesity, diabetes, and heart disease. It kick-starts your metabolism, helping you burn more calories throughout the day. More importantly – breakfast is the fuel that empowers, enlivens, and energizes the body, making it THE most important meal of the day! Listed below are a few popular Indian and International breakfast dishes for you to try them out and decide which one suits your moods and taste the best – this is going to be one tough choice to make! Bon appetite! A most basic tiffin dish or breakfast recipe from the South Indian cuisine. It is made from rava (wheat semolina), known for its fibre, carbohydrates, protein, and minerals content. This tasty, nutritious, and easy to make at home recipe is cooked by mixing roasted rava and sautéed veggies (carrots, beans, onions, tomato) in water. The vigilantly balanced spices and ghee (clarified butter) simply make it irresistible. Usually served with chutney, pickle or podi. 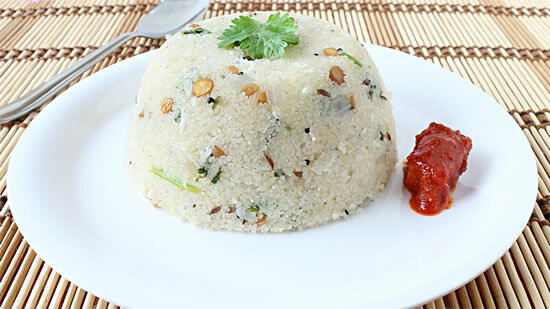 Upma can be safely given to kids above 1.5- 2 years of age and makes for a healthy filling meal. Listed on the World’s 50 Most Delicious Foods and making it to one of the Top Ten Tasty Foods of the World, this dish is definitely a great tasty way to begin your day. 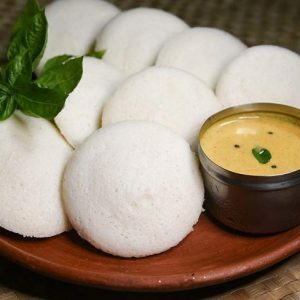 A typical South Indian staple dish made from a fermented batter (consisting of rice and lentils). It is most commonly served with chutneys, and sambar (a tangy lentil soup with a mix of vegetables). Extremely popular all over the Indian subcontinent. 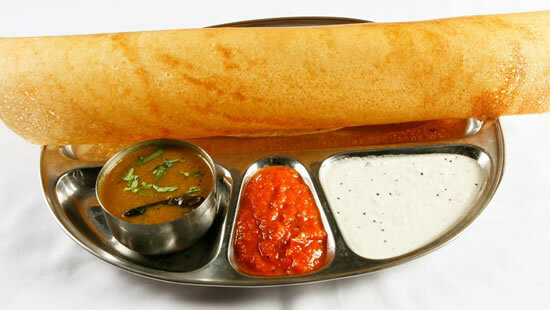 You may try out variations like neer dosa, rava dosa, pesarattu, Mysore masala dosa, etc. A classic light Maharashtrian breakfast, which is quick and easy to prepare by soaking the flakes of rice in water/milk and sautéing the pressed rice with onions and/or boiled potatoes along with some mild spices. You may add your choice of veggies and roasted peanuts for some crunchiness and sprinkle freshly chopped coriander leaves before serving. 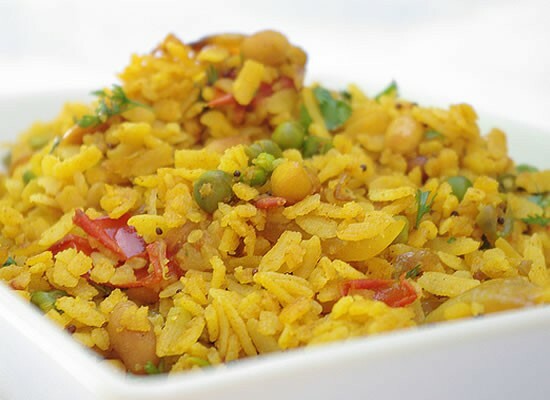 Two well-known variations are onion poha and the potato onion poha recipe. Rich in iron, vitamin B, carbohydrates and proteins, this mix is surely a great start to your day. Most popular unleavened flatbreads in the Indian Subcontinent. It can be savored as a meal by itself or paired with dry/gravy curries, curd, or pickle. 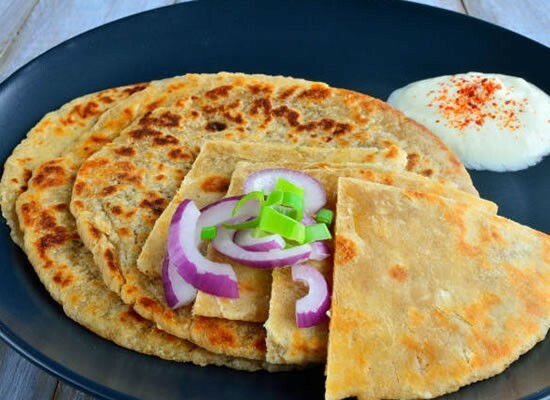 Paranthas are thicker and more substantial than rotis/chapatis, as it is layered with coatings of ghee/oil and repeatedly folded or else it is stuffed with various mix veggies, giving it the name of stuffed parathas. Top it up with a nice dollop of butter or ghee (clarified butter) for that extra yummylicious taste. Try making it with different vegetables like cabbage, paneer (cottage cheese), potato, etc., to give the parathas different flavors. A simple yet popular north Indian combination which makes for a complete meal. 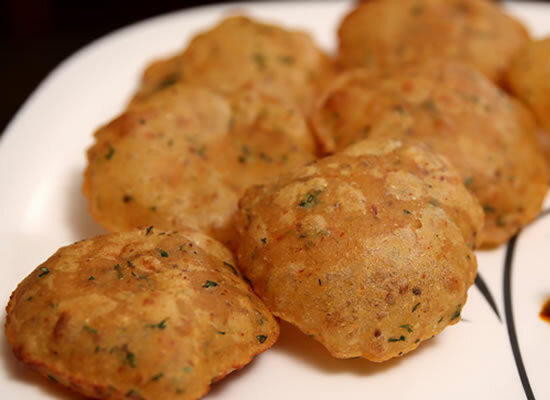 Deep fried puris (puffed whole wheat bread) and spicy potatoes with gravy is a perfect breakfast, lunch or dinner recipe which tastes super yummy. 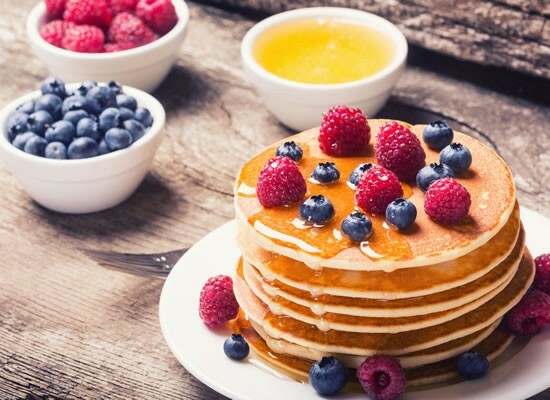 A pancake is an often thin round flat cake, made from a starch-based batter that contains butter, eggs and milk, prepared on a heated surface such as a frying pan or a griddle, mostly in butter or oil. Cooked to a perfect sunny golden-brown, these delicious pancakes are a quick treat to warm you up for the rest of the day. Serve it with your favorite sauces to make it more delectable. “Easy and quick breakfast” – nothing says it better than a bowl of cereal. 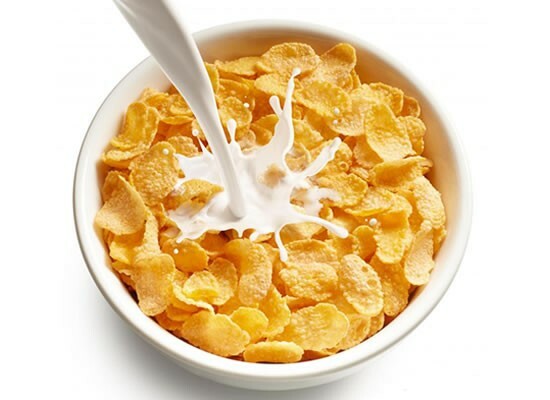 Made from processed grains breakfast cereals are most often eaten as the first meal of the day. You may eat it hot or cold, by and large mixed with yogurt, milk or fruits. Breakfast cereals make for an easy, fast, and inexpensive snack or even meal. They are perfect to fuel you up to begin your day just right. 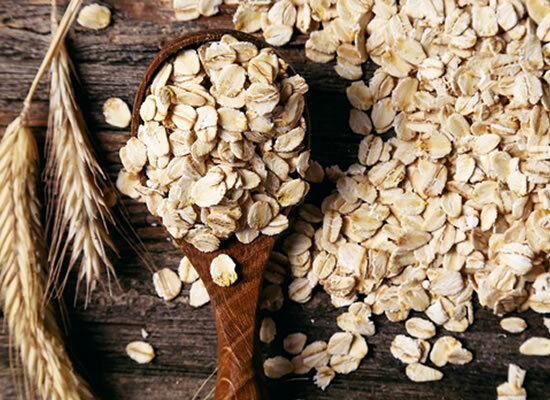 Oats (also known as the common oat), is a variety of cereal grain grown for its seed. It contains beta-glucan, a form of fiber that’s been revealed to help lower cholesterol when eaten on a regular basis. Enhance your bowl with milk and sweeten it with a bit of honey, and top with your favorite fruit and nuts. 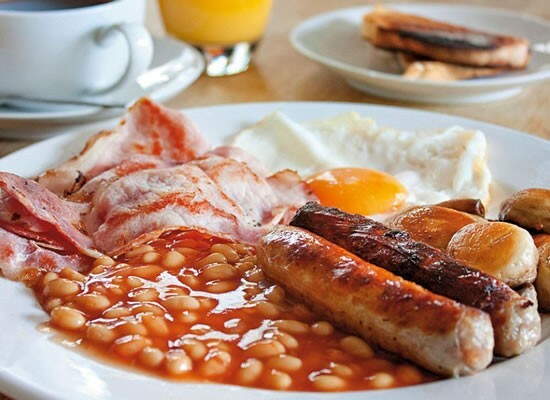 A full English breakfast usually includes sausages, bacon, eggs (a healthy source of nutrients like vitamin D and protein), baked beans, and an assortment of other cooked foods, with a steaming cup of tea or coffee. The English breakfast tea is purely black tea without any added herbs or any other ingredients, and may present coronary and dental benefits too. 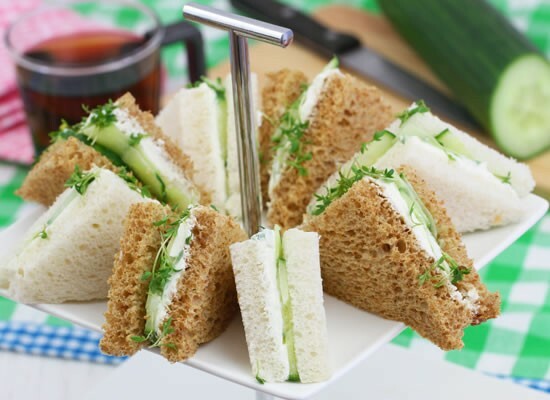 Sandwiches are typically made using breads (white, brown, multigrain, whole wheat), eggs, cheese, tomatoes, cucumber, lettuce, etc. You may also use a variety of breads like bagels, burger buns, etc. This is one dish that you can experiment with by preparing fillings of your choice, and adding veggies of different colors to make it more colorful and inviting. As the saying goes, “Breakfast like a King, Lunch like a Prince and Dine like a Pauper”. Breakfast foods are great sources of vital nutrients such as iron, vitamin B, calcium, protein and fibre, apart from providing us with the much-needed energy. Research indicates that if these nutrients are missed at breakfast, they are less probable to be compensated for later during the day. So did you feast like a king today? Try these breakfast dishes to provide your brain and body with fuel after an overnight fast and to have a better start to your busy day ahead. HAPPY COOKING! Feel free to comment or share your thoughts on this "How Are You Breaking Your Fast Today? 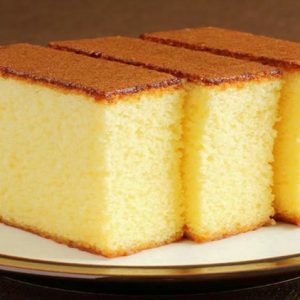 Choose From Top 10 Breakfast Recipes" article from Awesome Cuisine.